Butchering Galapagos Tortoises is a photograph by Library Of Congress which was uploaded on July 24th, 2016. Butchering Galapagos tortoises. 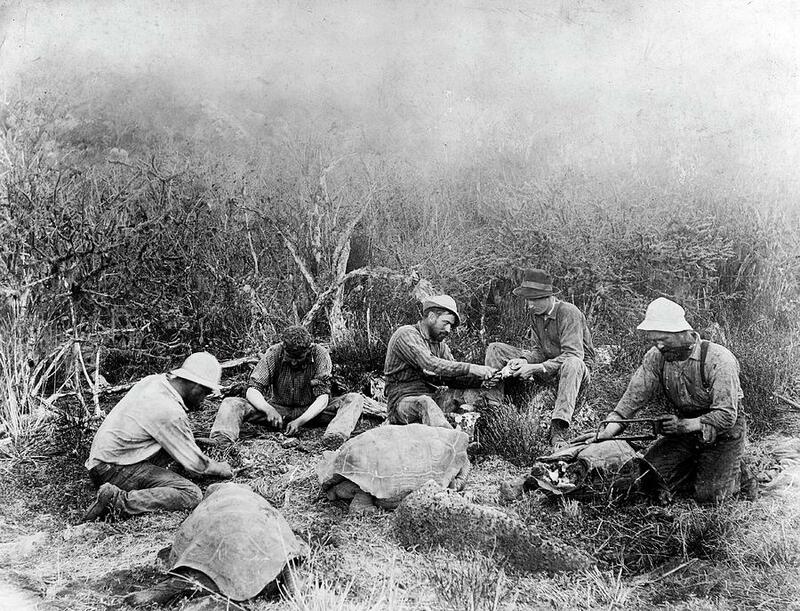 Workers using tools to butcher Galapagos tortoises (Chelonoidis nigra) to provide meat for a journey. These giant tortoises are found on the Galapagos Islands in the Pacific Ocean. Before they were protected by conservationists, they were exploited as a source of food and oil. They were captured alive and kept on ships until needed. From the 19th century onwards, much of the killing was for the tortoise oil. It is estimated that over 200,000 of these tortoises were killed by humans prior to the 20th century. Photographed circa 1903. There are no comments for Butchering Galapagos Tortoises. Click here to post the first comment.